(Bloomberg) -- Even in Australia, which escaped the ravages of the global financial crisis, the political center is proving to be fragile ground. Their goal was to install Peter Dutton, a tough-talking ex-policeman who advocated a right-wing populism in the same vein as Brexit and the rise of U.S. President Donald Trump. He pledged to slash immigration and wind back tax reforms in order to cut electricity bills. In the end, they failed by the narrowest of margins. Turnbull, realizing his own support had crumbled, played for time and demanded Dutton show him a signed petition from a majority of his party’s members before he would call a vote. That gave time for one of his allies, Treasurer Scott Morrison, to work the phones and eventually win the ballot 45 votes to 40. Morrison now takes over as the leader of a deeply divided government, ahead of an election that must be called by May. He follows a succession of former prime ministers who’ve been booted out by their own party: Turnbull, Tony Abbott, Julia Gillard and Kevin Rudd. The political churn in Canberra is noteworthy in that it comes in an economy that avoided the kind of swingeing austerity implemented in many developed economies after Lehman’s collapse triggered the world economy’s worst downturn since the Great Depression. A subsequent freeze in incomes and living standards is blamed for much of the unease that triggered events from Britain’s vote to leave the European Union to Trump’s surprise election win. Australia boasts one of the world’s highest standards of living, according to the Organisation for Economic Co-operation and Development’s Better Life Index, and economic growth is tipped at 3.04 percent in 2019 -- topping Canada, the U.S. and Britain. Yet for most voters, life seemed to only be getting harder. Real incomes have been stagnant, with consumer price gains in the three months through June matching the wage price index’s 2.1 percent increase from a year earlier. Turnbull’s policy missteps added to the discontent, eventually leading to a drop in support that made him vulnerable. Proposed tax cuts for big businesses and education policies proved unpopular, while a bungled attempt to slash both carbon emissions and energy costs helped trigger the latest bout of Liberal party turmoil. The main opposition Labor party has sought to address these concerns with pledges to boost spending on hospitals and education, while also scrapping tax breaks for high-income earners and cutting carbon emissions. 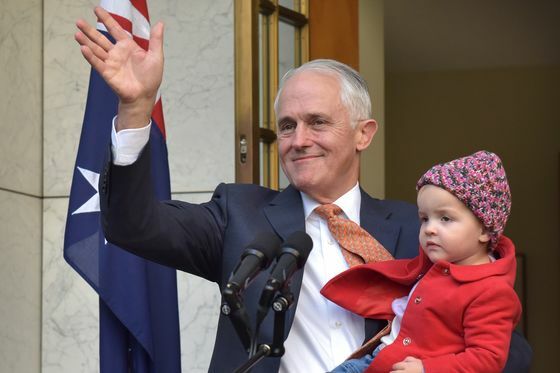 It has built a sizable lead in opinion polls as Turnbull’s government stumbled. Some in the Liberal party viewed Trump’s rise as an alternative model to maintain power in Australia, according to Martin Drum, director of public policy in the school of politics and international relations at the Perth-based University of Notre Dame Australia. “It’s led to somewhat of an identity crisis in the Liberal Party between the ‘small L liberals’ concerned about the economy and this group of more conservative people,” Drum said. Morrison fits somewhere in the middle. A devout Christian, he abstained from a vote allowing gay marriage and led the country’s much-criticized refugee policy that entrenched the offshore processing of asylum seekers. 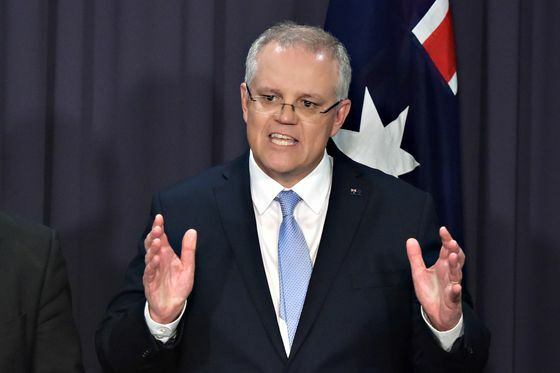 But as Treasurer, he’s also been more moderate than his predecessor who had pushed for steeper cuts to welfare, education and health spending. In his first remarks to reporters after the vote, Morrison vowed to unite the “bruised and battered” Liberal party. He thanked Turnbull for his service and welcomed Dutton to play a role in the government. 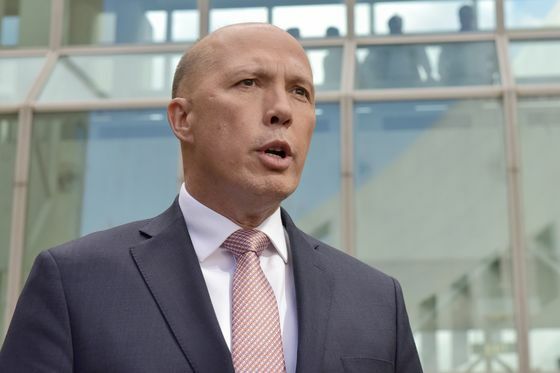 For his part, Dutton pledged his support for Morrison and called it “a good day for our country." Although Dutton lost, Morrison is still more conservative than Turnbull. That means most lawmakers saw a rightward shift as the best way to catch the Labor party, whose leader Bill Shorten isn’t personally popular.